Engravings On A Seashell Are Over 540,000 Years Old – Have We Been Wrong About Ancient Human History By A Huge Margin? To date, scientists have been confident that the intelligent human race has been fairly nascent on planet Earth. But engravings on a seashell seem to completely shatter the previously assumed timeline of human existence on the planet. Though discovered over 100 years ago, the seashells were only recently analyzed thoroughly, only to uncover previously unseen engravings. What’s baffling is carbon-dating of the seashell and the engravings extensively pull back the dates of earliest human ancestry. The engravings on the seashell are between 540,000 and 430,000 years old, which is, needless to say, forcing scientists to rethink long-held notions of how humanity developed, reported Nature. 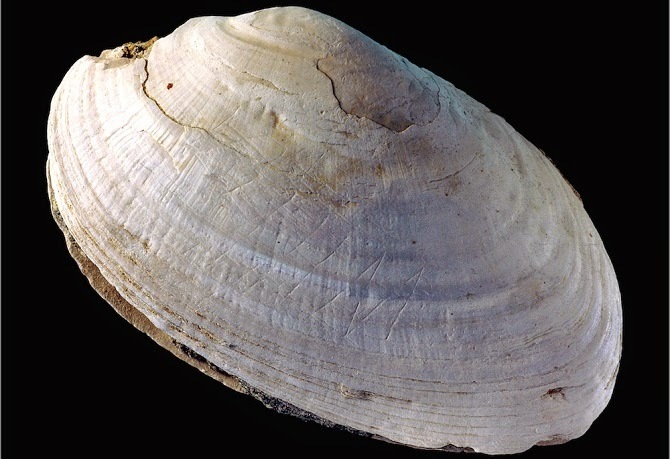 The fossilized mussel shell, though discovered in Java 100 years ago, has been engraved with an ‘M’ shaped zigzag pattern, which is by far the oldest known use of patterns to decorate an object by Homo erectus, reported Live Science. Australian National University’s Dr. Stephen Munro, who firmly believes that the new findings will certainly ‘re-write history’, said the following. So far, the earliest known record of patterned engravings was merely 100,000 years old. These engravings are easily 300,000 years older than the ones made either by Neanderthals or modern humans (Homo sapiens) 100,000 years ago. Clearly, the discovery of the Javanese engraved shells significantly pushes back our estimation when humans were believed to have begun these types of activities, reported Australian National University. Modern science says Homo erectus predated the Neanderthal and Homo sapiens species. However, there’s still some disagreement within the scientific community about Neanderthal and Homo erectus co-existing. Though barely recognizable, the engravings are bound to rewrite history books. Dr. Munro traveled to the Netherlands to carefully and thoroughly scrutinize the collection of fossilized shells, which were painstakingly collected in Java by naturalist Eugene Dubois. The Australian authority in ancient human history was quite surprised to realize that the lines made on some of these ancient seashells were manmade. Speaking about the discovery that is bound to have some fundamental impact, Dr. Munro said the following. 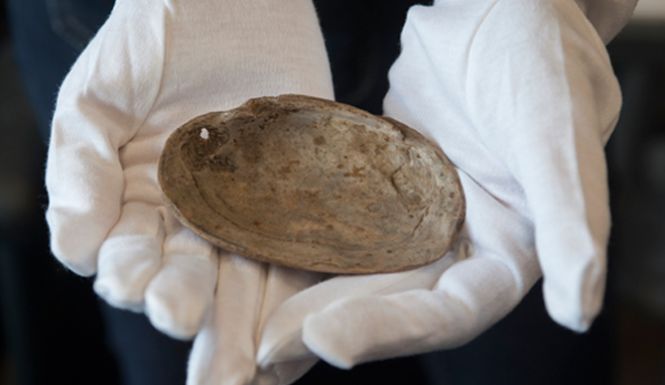 Though the history of human evolution has been verified on countless occasions, this rare seashell has clearly proven there’s lots more to discover.